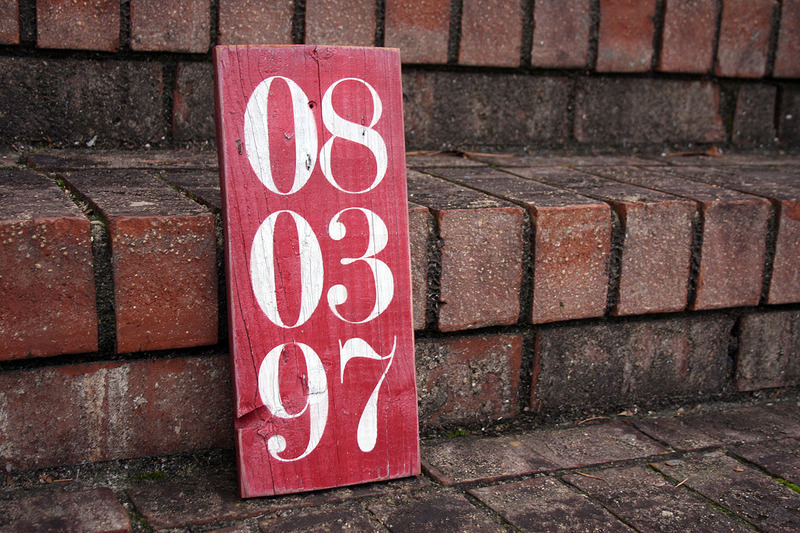 Celebrate a special date that is important and sentimental to you, by displaying it right on your walls! 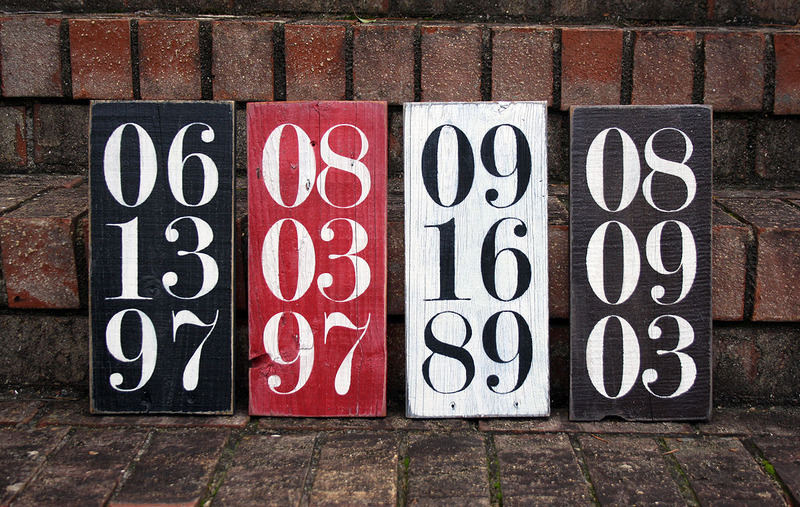 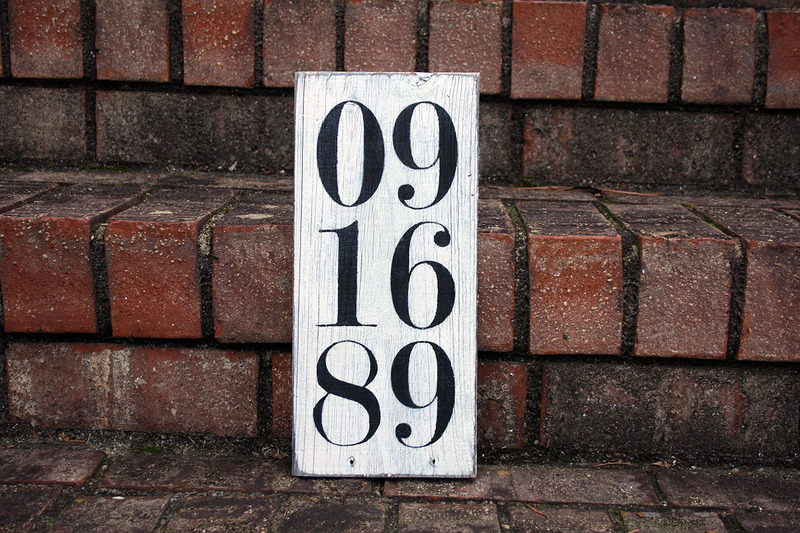 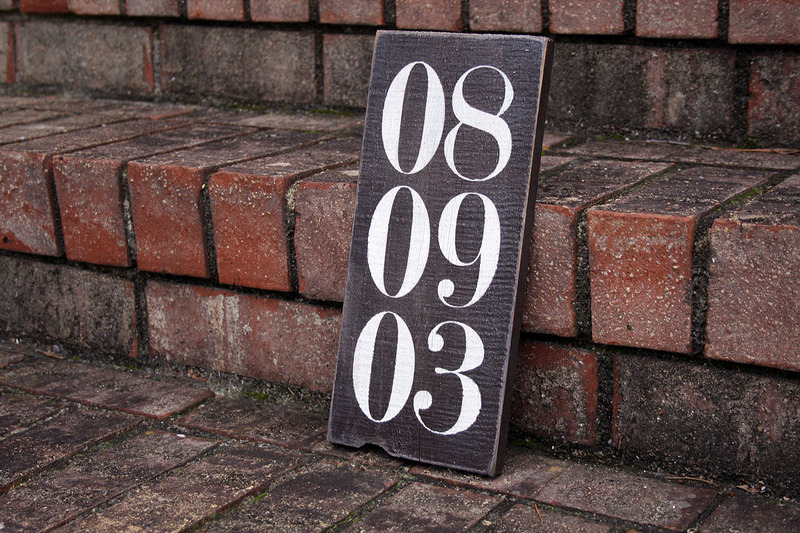 Customize this reclaimed painted wood sign to proudly feature your wedding anniversary date, children's birthdates, or any special date in your life. 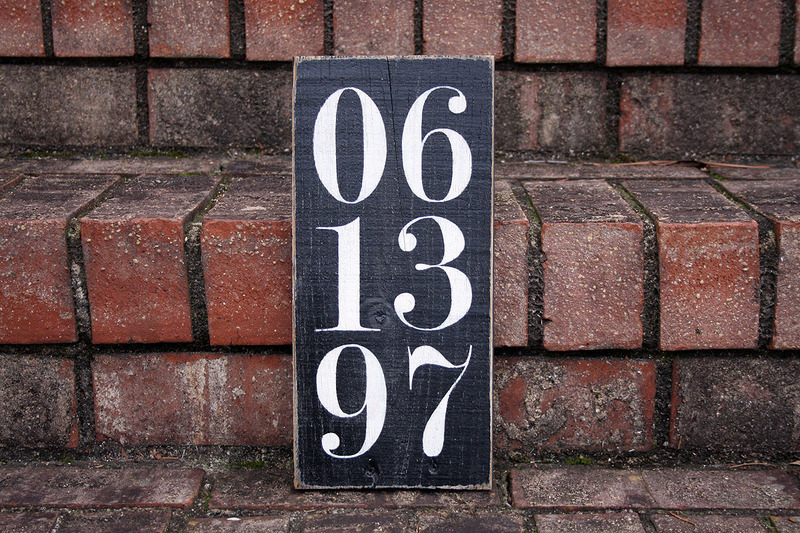 These small and simple signs make wonderful gifts for weddings, Valentine's Day, anniversaries, and more! Available in four colors - black, brown, white and red.